Ryan joined Rawlings in 2009. Previously, he was a Senior Vice President at the Presbyterian Foundation Group and Managing Director in Stern Stewart & Company’s New York and Tokyo offices. 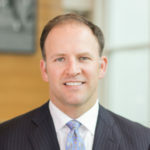 Ryan graduated from the University of Virginia and earned a Master of Business Administration degree with honors from the University of Louisville.